This original print is in the Special Collections of The John Rylands Library, University of Manchester. 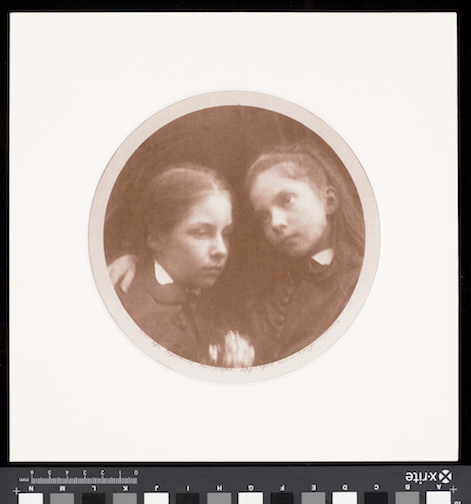 Portrait of Julia Margaret Cameron’s grandchildren, Margaret and Adeline Norman, Tondo (circular) print showing the two girls seated with their heads close together; Margaret (on the left) has her gaze directed towards the floor and Adeline looks off into the distance with her head tipped towards her sister and her arm around Margaret’s shoulder. 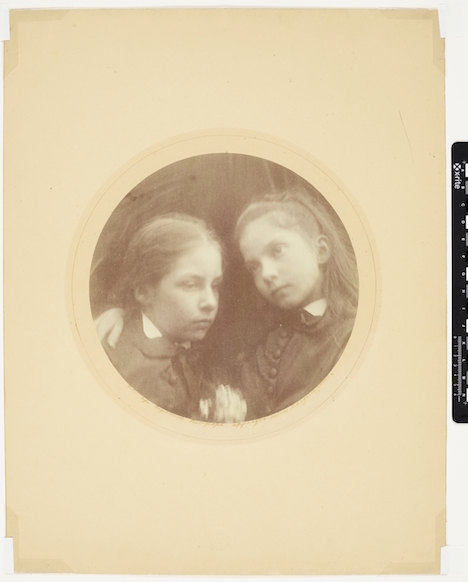 This photograph was made shortly after the death of Julia Margaret Cameron’s only daughter, Julia Norman, in childbirth. I recently made this albumen print as a gift for a friends retirement. Its a single coated albumen print, rod coated silver nitrate and un-toned. Unlike the original. Video of a test print. 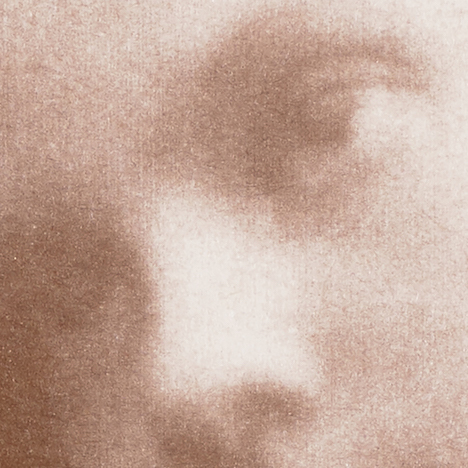 One thing I hadn’t noticed at the time of printing, until I had digitised it and looked more closely at the print surface was the striations in the inkjet acetate negative. I have never noticed this before but its been a long time since I’ve printed in albumen and cannot say I’ve noticed it in any cyanotype prints. The last time I printed albumen I was using a Canon printer, I retired that one a good while ago. Having replaced it with a cheaper multi-purpose Epson 3 in 1 scanner/printer. Obviously its not up to the job. Any recommendations for an new A4 inkjet printer for digital negative making? Yes, A4 rather than A3, I rarely print that size plus cost and space is an issue. I would love to reprint this to the standard it deserves. 26 Mar This entry was written by Fourtoes, posted on March 26, 2019 at 10:02 PM, filed under Uncategorized.. Older: ColouriseSG – Machine learning.